Perfect location with awesome stuff, really made my Budapest trip great! The room is really big and has a bath tub in it! Nice and clean hostel, great location and friendly staff. Excellent location, very friendly and helpful staff, cleanliness is superb, definitely recommend!! The location is really great. Right at the very centra of the old city, easily get to many sight spots on foot. And lots of cafe shops and restaurants nearby. And the building of the room has a history over 200 years. It's a really awesome experience! Everything is perfect except noise. I heard some noise from the drunk at the night I left hostel at 2am. Besides, some people smoke and drink at the entrance of the building. 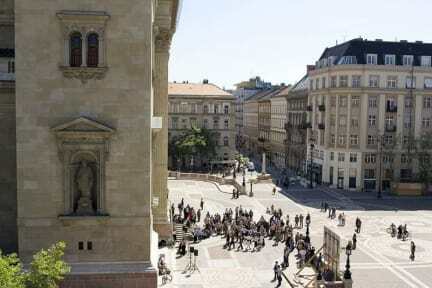 But all tourist attractions are within walkable distance, and it takes 20mins walk from the central station to hostel. 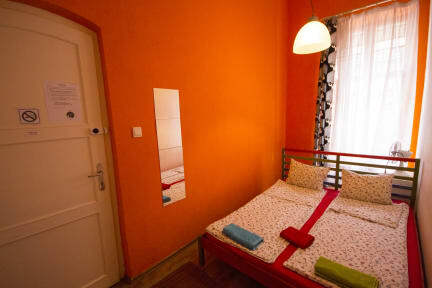 Also if you leave early to the airport, the bus stop is about 6mins walk from hostel, perfect location for backpackers. Good location, good room , comfortable bed. But the staff are bit unfriendly. some very young staff , don't have the patience.